Beautiful, and in excellent condition, absolutely no chips or cracks. 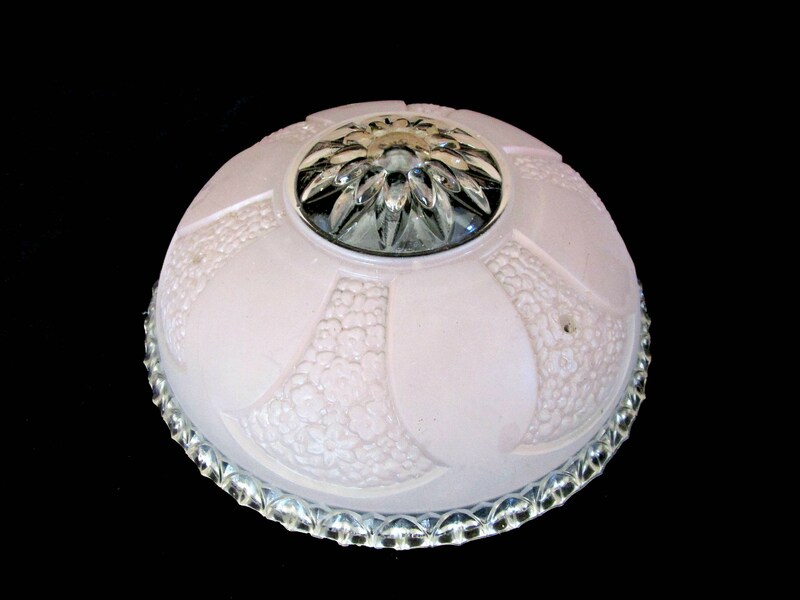 This hanging ceiling light is made of glass, deeply embossed, giving this piece depth and dimension. You will not be disappointed. Designed with 3 holes for your hanging chains, the soft pink is lovely. Perfect for a nursery or for a farmhouse or cottage decor. This piece came from an old Victorian home in Lafayette Indiana. Measures 10 1/2 inches in diameter and the depth is approx. 4 inches. Excellent condition.